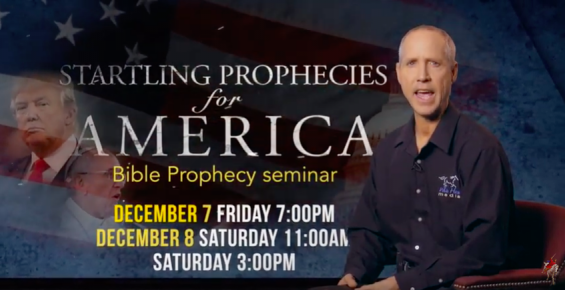 These meetings will NOT be live streamed, but will be recorded to replace our older “Startling Prophecies for America” series filmed a few years ago. If you live near Phoenix, join us this weekend. Pray for us. We are praying for a large turnout from the community. 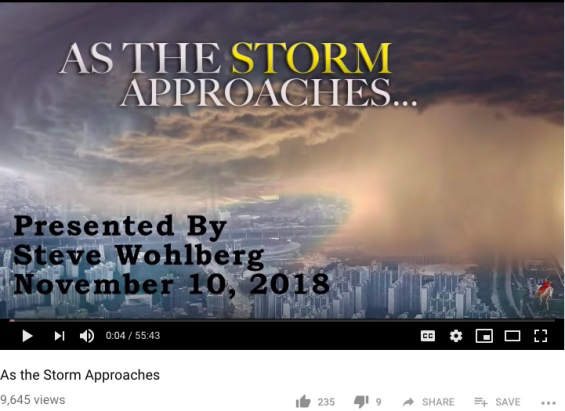 Below is another message YOU CAN WATCH NOW called “As the Storm Approaches” presented on November 10 at a Mid-America ASI Rally in Lincoln, Nebraska. “As the Storm Approaches” talks about recent California wildfires, the coming judgments of God upon human wickedness, the mark of the beast, the crisis ahead facing God’s Remnant Church and the world, and how to find shelter in Jesus Christ. Since posting it on YouTube about two weeks ago it has nearly 10,000 views. “The time is at hand!” Revelation 22:10. At White Horse Media, we strongly sense the Hand of God guiding us day by day as we dedicate ourselves to spreading His Three Angels’ Messages of Revelation 14:6-12 to a lost, mixed-up, and dying world. Thank you so much for your prayers and financial support of His work. Can you make it to Buffalo NY ? Would love to attend one of the sessions but haven’t seen any scheduled in the Northeast. God bless you and your team as you do God’s work.